Textkernel is proud to present at the upcoming Sourcing Summit Germany (#SOSUDE), held on 25-26 April in Munich. At the event, Mihai Rotaru, Head of R&D and Ralph Dennes, Head of Business Development, are going to discuss the Artificial Intelligence (AI) “black-box” that powers semantic search. Intelligent software solutions can assist you with finding the right candidate for the right job, but how they actually work? For the second time in the row, Phil Tusing (Destination Talent) together with Kai Deininger (Eurosearch) and Barbara Braehmer (intercessio) bring the Sourcing Summit to Germany. First held in Australia in 2011, the sourcing summit now takes place across four continents. The event highlights the importance of talent sourcing and brings together practitioners to network and learn from each other. Last year’s event was a success with many happy delegates; this year over 300 delegates are expected to participate. During the conference, more than 30 speakers, including some of the biggest names in the industry from all over the world, will share their knowledge and spread new thinking. 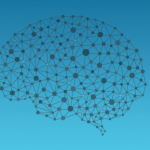 Among them, Textkernel’s own Mihai Rotaru and Ralph Dennes, who will share insight into the Artificial Intelligence (AI) behind semantic search. The AI behind semantic search: is there a magic algorithm? The value of data is zero unless you retrieve the right result, and without the right search terms you discover nothing. Mastering Boolean search requires significant time and skill, but is Boolean the poor man’s alternative to semantic search? (Let an intelligent software solution assist you with finding the right candidate for the right job. But how does it actually work? Together with you, Mihai and Ralph are going to finally open the black-box AI.) They will take you on a journey about how artificial intelligence supports sourcing; why semantic search helps to better match people and jobs; introduce the different elements semantic search is built upon; the “deep learning revolution” changing the recruitment landscape; and what an AI-powered future will look like. We are going to be at the event on 25 and 26 April. Beyond the presentation (25 April, 3.45 pm, Main Hall) we will have a booth where you can discuss topics directly with Mihai and Ralph. Ralph Dennes is an experienced Human Resource Management professional with years of experience in the field. Combining strategic HR-processes and –systems under the implementation of innovative solutions mirror Ralph’s core competencies. Over the years he has advised many large companies on how to improve Talent acquisition as well as Talent Management Initiatives and Processes. Since 2015 Ralph has been Textkernel’s Head of Business Development for Germany, Austria and Switzerland. 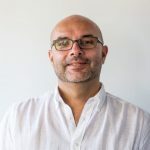 Mihai Rotaru is the Head of R&D at Textkernel where he is responsible for the research agenda as well as coordinating the joint research efforts with Textkernel’s parent company, CareerBuilder. In this role, he guides Textkernel’s Document Understanding team, which builds the resume and job parsing product; the Search R&D team, which develops improvements for Search! and Match! products; and the Ontology team which builds the HR domain knowledge graph. 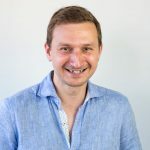 Originally from Romania, Mihai joined Textkernel in 2008 after obtaining a PhD degree in Computer Science at University of Pittsburgh, USA. Among others, his interested include Machine Learning, NLP, Deep Learning and how these new technologies can be applied in the HR industry. Don’t Miss out! Meet us at the Sourcing Summit, we’d love to schedule a meeting with you.